Most of the 123 km long road to the monastery is a highway since 2015th, which makes the trip shorter. Once you get out of the traffic jams in Sofia, it takes only about 45 min to reach the junction to the monastery. The last 33 km of the route follow the valley of Rilska River where the monastery is located. After a good number of curves the road goes near the place, where Rilska and Iliyna River unite and in 4 km you reach the parking lot at the west gate of the Rila Monastery. The trip would take about 2 hours by car and between 2,5-4 hours by bus, depending on the connections and the number of stops. 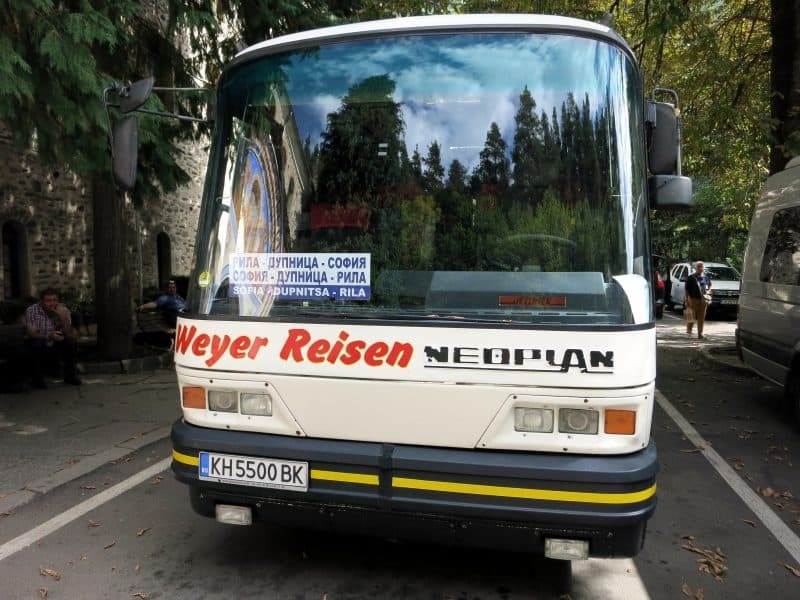 The only direct bus from Sofia goes every day at 10.20h in the morning from the western bus station in Sofia – Ovcha Kupel Bus Station – and arrives at the monastery before 13h with a few stops on the way. The same bus goes back to Sofia at 15h leaving a little gap to explore the monastery and its surroundings. The ticket price is 11BGN one way. Tickets are sold directly from the driver at the bus station. Here is the phone number of the transport company, that operates the line: +359 898 707513 – “Rila Express”. You can check their timetable here and make online reservation. How to get to Ovcha Kupel Bus Station? You can get tram N5 from the centre of Sofia – at the back side of the Sofia Court (last stop) and get directly to the bus station in between 15-25 minutes. Here is a Google map of the route. 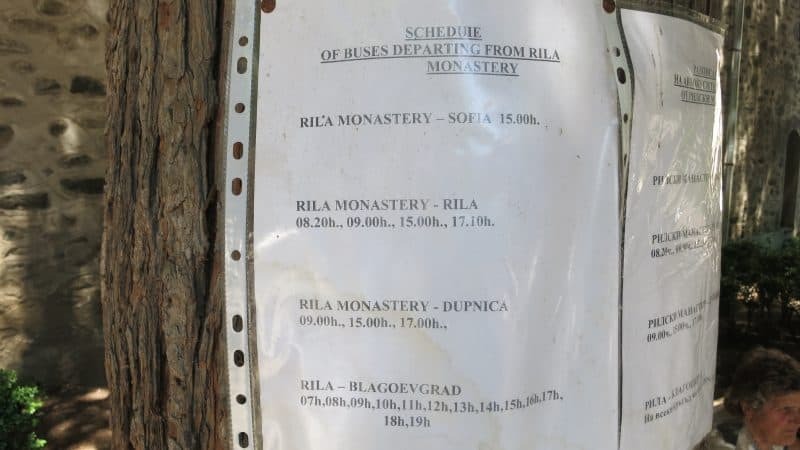 Although there is only one direct bus to the monastery, the buses between Sofia, Dupnitsa, Blagoevgrad and the town of Rila are frequent and the chances to get stuck half way are tiny. Of course if you do not try to do a night trip. Even in this case there is no problem to find accommodation of all ranges on the way. It is even possible to stay at the monastery, but keep in mind that gates are closed at down. You’ll need to buy food before that as nothing is offered inside the monastery. There is two types of accommodation – more luxurious with private bathrooms, and dormitories. Staying at the monastery overnight is a good way to see it without tons of tourists hanging around and to participate in the services. Beware of bedbugs in the dorms! The other option, if you prefer to start early, see the monastery for a day and go back to Sofia, and if you do not mind some bus changes, is to get an early bus to the town of Blagoevgrad. It is situated about 10 km further after the junction to the monastery in south direction, so about 40 totally from the monastery. That’s actually the main E79 road Bulgaria-Greece. Buses to Blagoevgrad go from the Central Bus Station in Sofia and are frequent (every 30-40 mins), starting from 6.40, price is 10BGN one way. It is also possible to go to Blagoevgrad by train – there are about 7-8 trains a day. They start from Sofia Central Railway Station and the trip takes between 2,15-3 hours, depending on the train type. The price is 7.50BGN for a second class seat. The train station in Blagoevgrad is next to the bus station where the minibuses to the town of Rila operate. From Blagoevgrad there is minibuses to the town of Rila nearly every hour from 8.00h till 20h, price 2 BGN one way (check the link to Rila Express timetable provided above). Rila is only 16-17 km from the monastery so you can get a local taxi to drive you there – usually someone is waiting at the bus station. It is also possible to bargain a taxi directly from Blagoevgrad. Rila Monastery – Sofia Timetable. Important – valid only during the summer season! Click on the photo to see it full size. There is no need to buy ticket or pay any other admission fee in order to visit the monastery or the church. The only costs are to visit the museum (8BGN) or the Hrelyo Tower. How to get from Rila Monastery to Sofia? Here is a photo of the timetable in front of the monastery, at the bus stop, which is valid at the moment (2015). There is one direct bus to Sofia at 15h, and a few that go either to the town of Dupnica, either to the town of Blagoevgrad. The second one is a bigger “hub” on E79 route for all the buses that go from the southern parts of Bulgaria (the towns of Sandanski, Petrich, Gotse Delchev) and Greece towards Sofia, so you have better chances to get a quick connection to Sofia. From Dupnica bus station itself there are supposed to be buses to Sofia on every hour, starting at 5.50 in the morning, but last moment cancellations are possible. 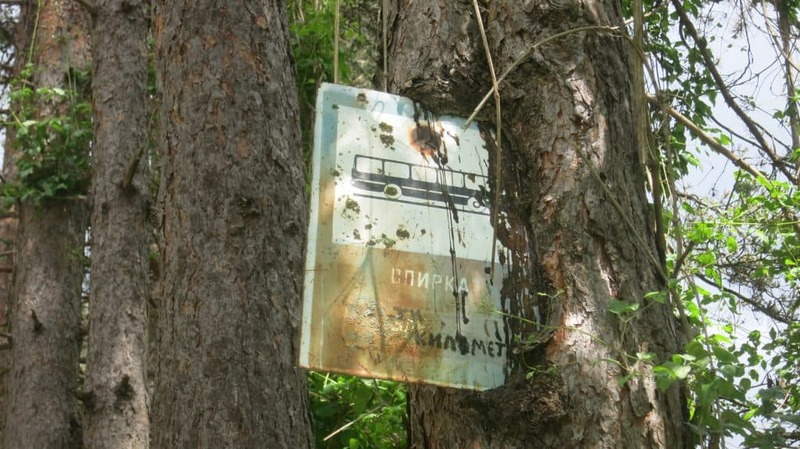 The line is managed by Union Ivkoni, you can check their website for up to date info. The ticket price Dupnica-Sofia is 6 BGN one way. Note 2016: Outside the peak season some of the buses to Dupnitsa and Blagoevgrad do not travel due to lack of passengers. The buses Rila Monastery – town of Rila at 9am and Rila Monastery – Sofia at 3pm go on schedule, but do not rely on the others, listed in the timetable. Please keep in mind that all timetables are subject to change and we cannot guarantee their validity at the moment of reading. Take a look at our article with general info about Rila Mountains.